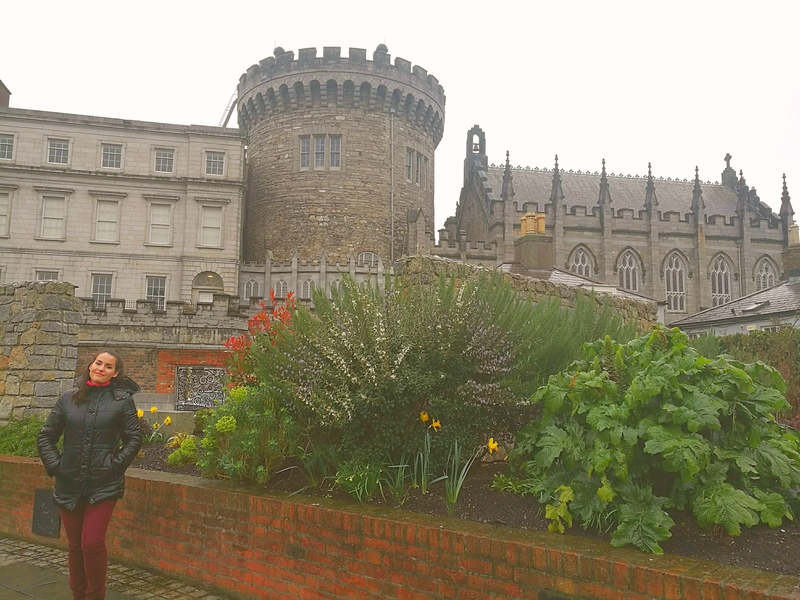 The first thing we visited on the second day was Dublin Castle. It’s important to note that Dublin Castle is not really a castle anymore. It’s really curios the different architecture styles mixed in this castle. Then we went to Saint Patrick’s Cathedral. 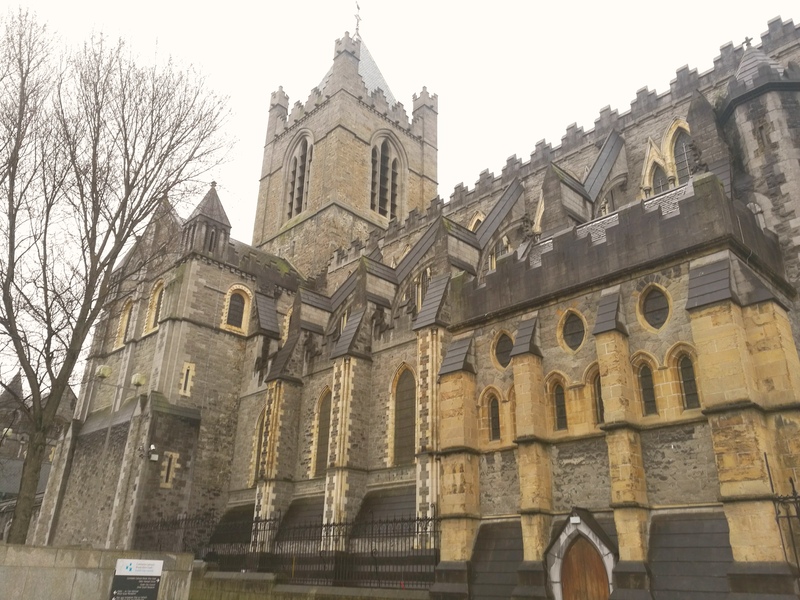 Founded in 1191, is the National Cathedral of the Church of Ireland. 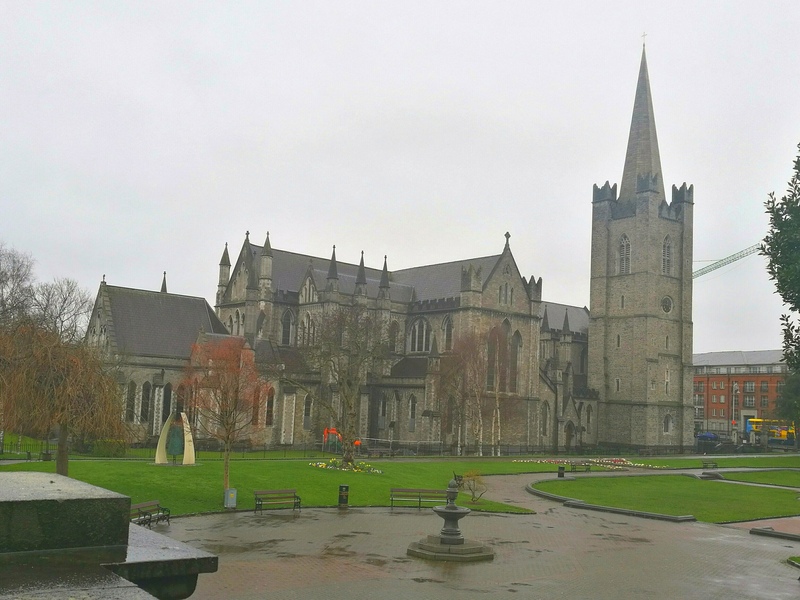 With its 43-metre spire, St. Patrick’s is the tallest and largest church in Ireland. 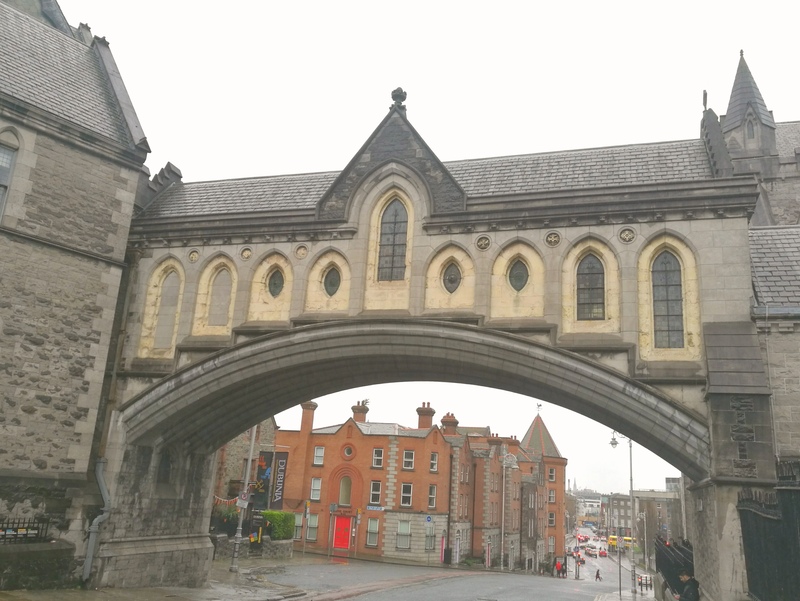 After that we went to Christ Church Cathedral. It was originally built by the Normans, but most of its construction is from the 19th century. The church was built on the high ground overlooking a Viking settlement. In the 1970s, two million artifacts from the Vikings were taken out of ground under and around Christ Church Cathedral. You can still see some viking ruins next to the cathedral. Then we visited the statue of Molly Malone. Molly Malone is a popular song which has become the unofficial anthem of Dublin. The song tells the fictional tale of a fishmonger who plied her trade on the streets of Dublin. 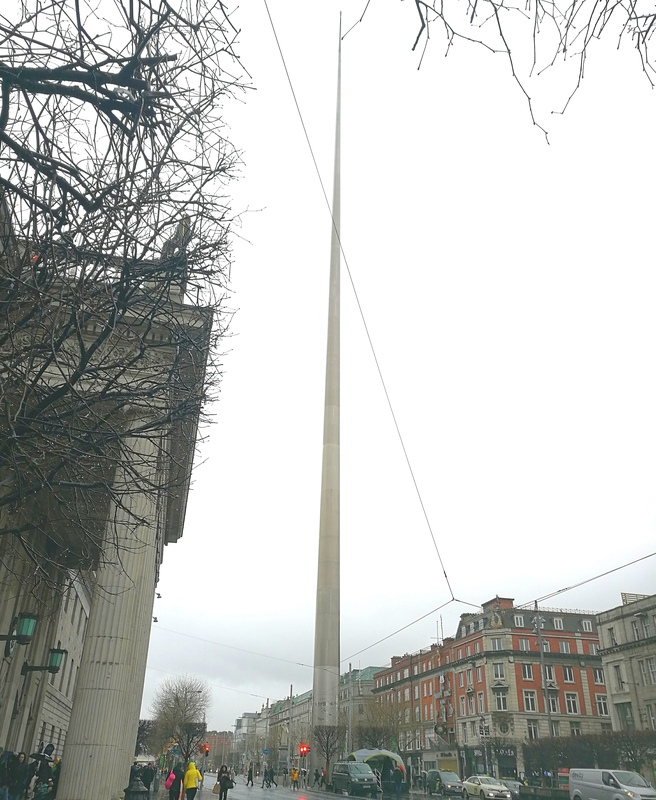 Finally we visited the spire which is is a large, stainless steel, pin-like monument 120 metres in height located on O’Connell Street. Is a typical meeting point in Dublin. It’s such a great city. County Cork is not to be missed and just a couple hours’ drive south of Dublin. Thanks for sharing. We have been to Ireland 4 times (Dublin twice), as we have relatives there. Looking to go back again soon. 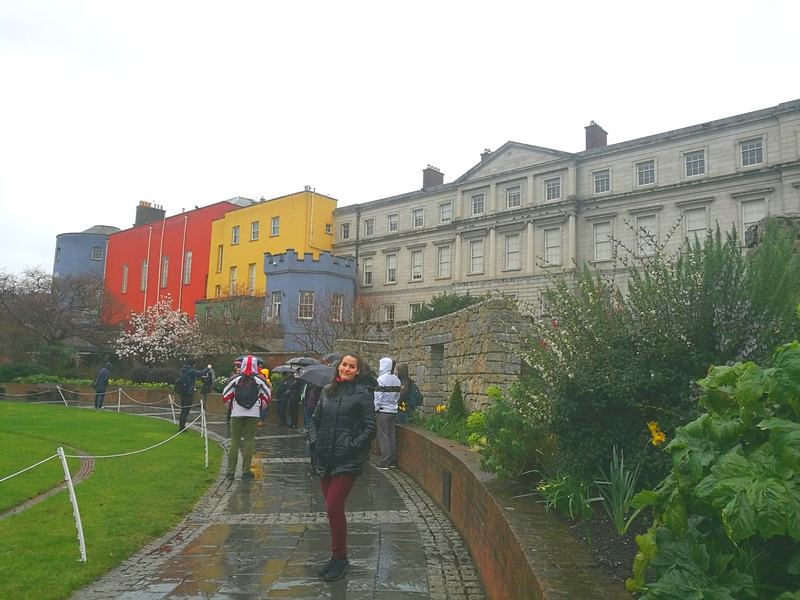 We saw all of the sights you walked by on your travel, but also, Temple Bar (the restaurant and club area), Trinity College with The Book of Kells, Kilmainham Gaol (with its sad history) and many other places. Have you been to the northern part, like Donnegal? It’s spectacular! Great post. I will be there in August for 4 days and I hope to see some really cool things.. thanks for the story! Yes!!!! I am excited and thanks for the response!!! Such fond memories of Dublin. Your photos take me back. The people were really friendly, great for walking and fab pubs. The gaols were powerful, and the Guinness Storehouse was really well thought out. I’ve never been to Ireland, perhaps one day. Nice photos. 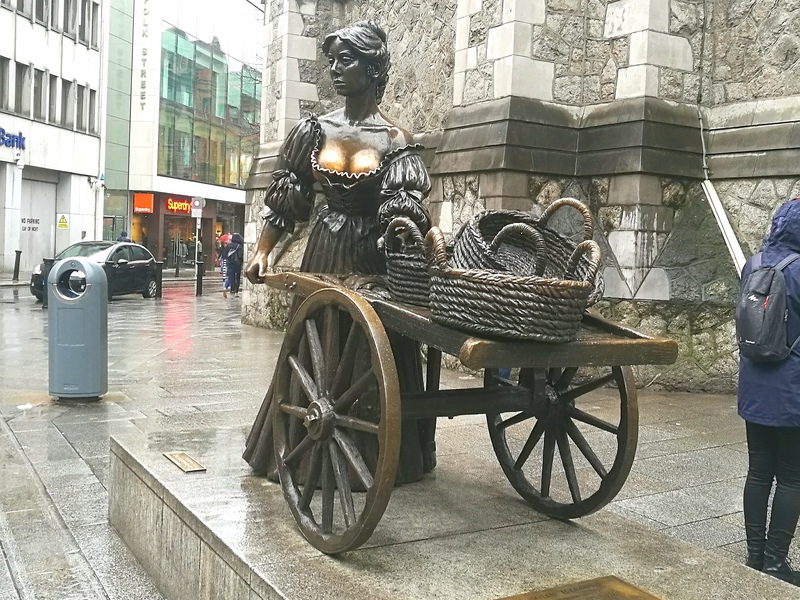 My gosh is the custom to rub Molly Malone’s bosoms for luck? BTW I live on Kells Avenue! It looks lovely, me and my boyfriend are thinking of visiting soon! Dublin is an interesting place. I’d like to visit Dublin someday. The buildings and architecture fascinates me!